Every $10 per barrel rise in the price will worsen India's fiscal balance by 0.1% and current account balance by 0.4% of GDP, according to estimates of global financial services major Nomura. Brent crude oil prices on Thursday hit $80 per barrel for the first time since November 2014 on supply deficit concerns. With India meeting more than 80% of its oil needs through imports, the world's third-largest oil consumer after US and China will feel the heat of the global development. Here's how the Indian economy will be affected due to the surge in oil prices. 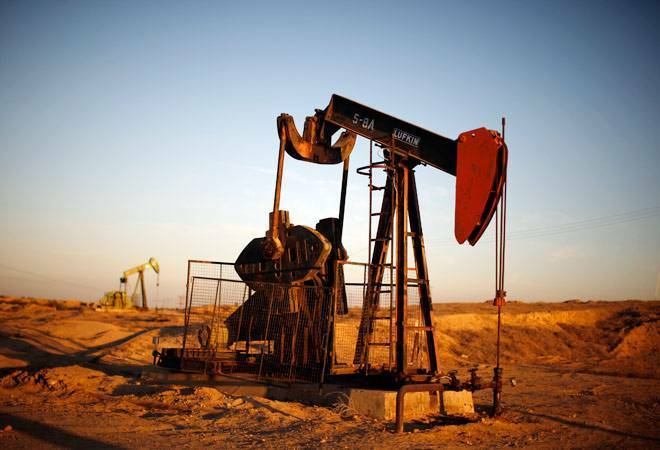 India, world's third-largest oil producer after US and China, imports about 1,575 million barrels of crude oil on an annualised basis and a dollar increase in oil prices would increase the import bill by roughly $1.6 billion (Rs 10,000 crore) on an annual basis, said CARE Ratings. India relies more than 80 per cent on imports to meet its oil needs. Every dollar per barrel change in crude oil prices impacts the import bill by Rs 823 crore ($0.13 billion). The same is also the impact when currency exchange rate fluctuates by Re 1 per US dollar. Every $10 per barrel rise in the price will worsen India's fiscal balance by 0.1% and current account balance by 0.4% of GDP, according to estimates of global financial services major Nomura. Chief Economist Adviser to the government Arvind Subramanian too has said every $10 per barrel rise in oil price brings down GDP growth by around 0.2-0.3 percentage points and worsens the CAD (Current Account Deficit) by about $9-10 billion dollars. Nomura said economy is affected as rise in inflation due to higher prices could lower real disposable incomes of households and therefore hurt consumer discretionary demand. Dr VK Vijayakumar, Chief Investment Strategist at Geojit Financial Services said crude has risen by more than $10 a barrel since April. RBI had assumed a rate of $68 for 2018 but Brent crude is now hovering around $80. Every $10 rise in crude prices raises India's inflation by 10 bps. Fuel prices primarily of petrol and diesel have been deregulated and are linked to the international crude oil prices. With oil marketing companies raising petrol, diesel prices on a daily basis after the announcement of Karnataka Poll results, now there are more chances that oil marketing companies (OMCs) will have to raise prices of petrol and diesel on a daily basis. They are estimated to have lost about Rs 500 crore on absorbing higher costs resulting from the spike in international oil rates and fall in rupee against the US dollar. Brokerage firms have gone on to the extent of saying that a Rs 4 per litre increase in petrol and diesel prices is in the offing if state-owned fuel retailers are to return to pre-Karnataka poll hiatus margin levels. Last week, ICICI Securities had said auto fuel net marketing margins were weak at Rs 0.31 a litre due to no price hike after April 24. Now, with brent crude oil prices at $80 per barrel, the need to compensate marketing margins of OMCs by raising price of the fuels has increased more than ever before. There are several industries and companies which use crude oil and its by-products as raw material for their final products. Companies dealing in tyres, plastics, chemicals, fertilizers, wax industries, refining, airline, paints, footwear, lubricants, cement, logistics and construction materials for whom crude or its derivatives are major inputs/costs will take a hit on their margins in case of high oil prices. VK Vijayakumar, chief investment strategist at Geojit Financial Services said, "Crude at $80 is bad news for rate-sensitive stocks since inflation and interest rates are likely to go up. The PSU oil marketing companies also will be negatively impacted while ONGC will be a beneficiary. Paint and aviation sectors also will be adversely impacted." Further high crude oil prices lead to lower corporate profit margins due to rising input costs and accordingly impact investment, among others.